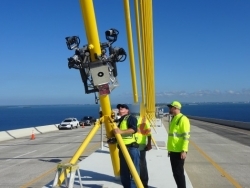 Clearwater, FL, November 21, 2017 –(PR.com)– IPC continues to disrupt the infrastructure inspection markets with modern technology and robotic nondestructive testing services. In order to further their mission, IPC has formed a strategic alliance with DYWIDAG (DSI). IPC and DSI Construction, both based in the USA, confirmed a strategic partnership for the utilization of technology for the nondestructive inspection of bridges and industrial structures. IPC, a bridge inspection & robotic engineering firm, is committed to delivering inspection and testing services globally. IPC is a nondestructive testing (NDT) services company that applies proprietary and patent pending NDT inspection technology to assess the structural integrity of critical bridges and infrastructure. This data replaces the subjective data being provided today. IPC provides more comprehensive actionable item and does away with many of the lane closures, night time inspections and heavy equipment required today. In addition, these inspections are conducted within current maintenance budgets. IPC utilizes patented robotic equipment to conduct condition assessments, providing quantitative data to the department of transportation. DSI is a global market leader in development, production and supply of DYWIDAG Post-Tensioning, Stay Cable and Reinforcing Systems for the construction industry. DSI is continuously improving its systems, always keeping up with the growing demand of innovative construction technology. The demand for advanced nondestructive testing methods and first class repair & strengthening solutions offered as a complete service package is continuously increasing. “We are excited to formalize our relationship with DSI and support their inspection requirements,” said Mike Creech, CEO of IPC. IPC is looking forward to helping extend the service life of critical infrastructure assets as well as keeping the public safe worldwide.